HYDERABAD : Minister for Marketing and Irrigation T Harish Rao on Wednesday informed State Assembly that the present fruit market at Gaddiannaram would be shifted to a spacious place on city outskirts at Koheda of Pedda Amberpet mandal. Replying to a question, the minister said that the government had realised the need for shifting of the present fruit market in Gaddianaram which is on 22 acres of land. Based on various issues and parameters including regular traffic jams in the area, it was decided to shift the present market from the busy Gaddiannaram to Koheda near Outer Ring Road which would serve the purpose for next 50 years, he explained. He said an extent of 178.09 acres of land was identified in Koheda for shifting the present market from Gaddiannaram. The government had already paid compensation to farmers to the tune of over `9 crore at the rate of `7.4 lakh per acre to those who had agreed to give land. As a matter of fact revenue authorities had handed over land recently. Steps would be taken for preparation of proper layout for better utilisation of land and necessary budget would be allotted accordingly. 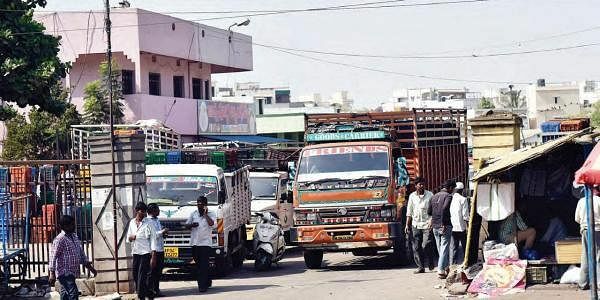 Harish Rao further stated that by setting up the fruit market at Koheda, not only the traffic snarl issues in and around Gaddiannaram area would be solved but would also help in export of fruits to other places. To study the market models, officials had been sent to study the fruit markets in Punjab, Haryana, Gujarat and Maharashtra. Adequate funds are available for the new fruit market which would be set with all modern amenities, he added. On the request of the members, Harish said that temporary shed will be erected at Koheda.